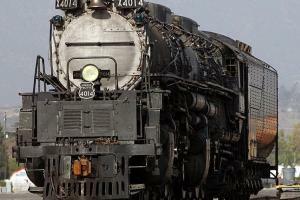 Union Pacific Railroad has embarked on an exciting new project that will bring back to life one of the classics of the steam powered era. Boy Boy engine #4014 has been put on the path to full operation. This will be a lengthy process, but one to be relished by railroad afficianados. You can read more about this project on the Union Pacific web site here. Inside of New York City's Grand Central Terminal is a secret basement. While virtually unknown, it serves an important and vital function.